The Roll Eat Sleep Repeat webshop just opened a few weeks back, and right now, there is a special offer on free shipping to anywhere in Europe, Japan and the United States. Use the promotion code "WITCHINGHOUR" and the shipping will be free, but only this weekend! I am almost desperate to feel better with my body these days. Basically all my focus goes towards re-energizing and recovering from my injuries, soreness and low energy level. I have skipped way more training sessions than I wanted to, but it is necessary to prevent me from reaching a state of over training. I tried stretching a little bit before training today, but it just seemed to hurt in some muscle, no matter what direction I moved. Eventually, I did a thorough warm up in my gi class, which loosened me up a bit. After going through a few variations of a sweep, I am working a lot on lately, I decided that we would be rolling for a full hour today. Saturday, doing any kind of sparring, was very painful and it was hard to ignore it and focus on the training. Today was much better, although there is still a way to go for me to be 100% again. I did manage to roll for an hour today and was very pleased. Towards the end, I was so warm that I didn't feel much of my injuries (sprained fingers and toes didn't get hit today, weeee!) and I really enjoyed rolling. 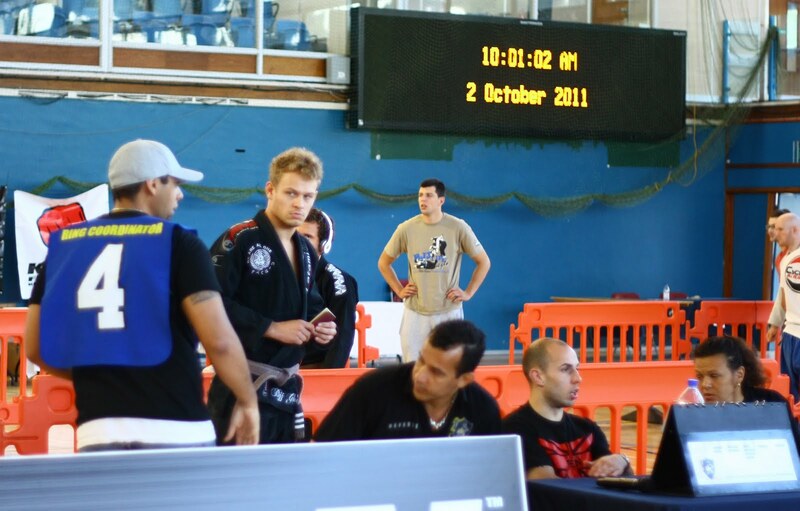 I had some really good rounds with lots of tough guys on the team and after class, I felt great. I know I am probably going to feel it tomorrow morning, when I wake up though. There are still three competitions to go, before the season ends. 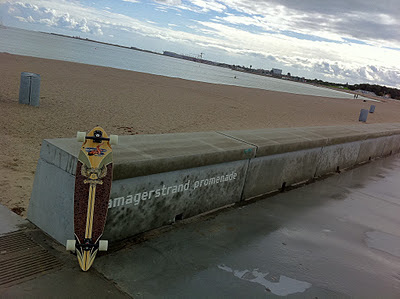 I just spontaneously decided yesterday to sign up for Scandinavian Open this weekend. 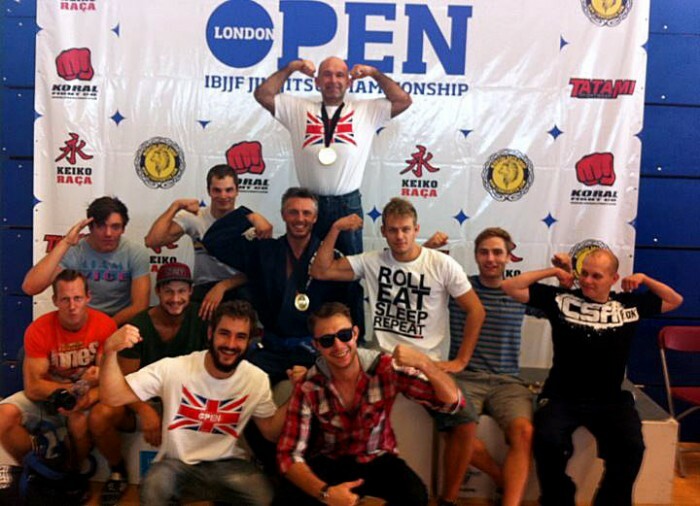 The week after that is NAGA in Paris and after that Swedish Open. I am really looking forward to being done with these competitions and have a few months before the Europeans, where I can just focus on recovery and getting in killer shape. I seem to have picked up a truckload of small injuries lately. Nothing serious, just still some pain in my shoulder, a big bruise on my left hip, sprained toes and fingers and all the other usual stuff. Apart from that, I feel pretty tired and low on energy at the moment. Maybe all the traveling and competing has starten to take its toll on me. I eat healthy (allmost all the time), drink nothing but water (and plenty of it), and get at least 9-10 hours of sleep every night. Still, I might be on the edge of overtraining, since so many parts of my body are in pain at the moment. Yesterday, I was running a two hour wrestling class. 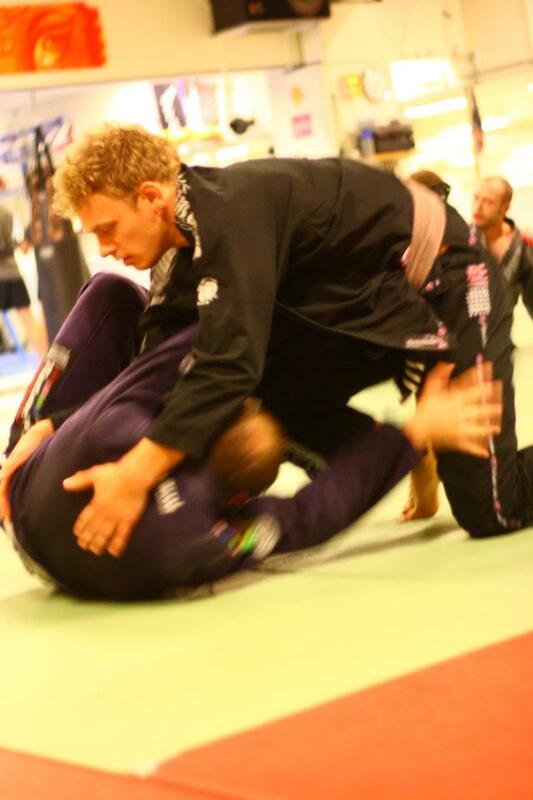 My once-a-week all out, high pace, no-gi madness class, that I always enjoy doing. 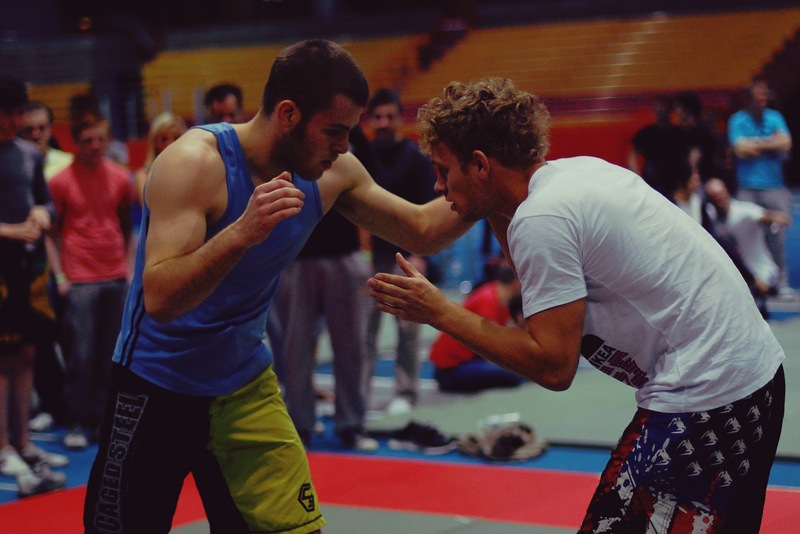 This time, I just couldn't focus on the sparring and drills, since all my attention went to the pain I felt, at what seemed like every movement I made. It is not the first time, I have a period like this with many small injuries. It almost mandatory for someone who trains Jiu Jitsu for many years. Right now, it is a bit demoralizing, that everything hurts and nothing seems to work in sparring, but I also know, that I will come out on the other side and feel good again. Still keeping the BJJ globetrotting going a bit, tomorrow, I am going on a little trip to Scotland for six days. I will be teaching in Aberdeen thursday and friday, competing in Glasgow saturday, then teaching again in Edinburgh on sunday. 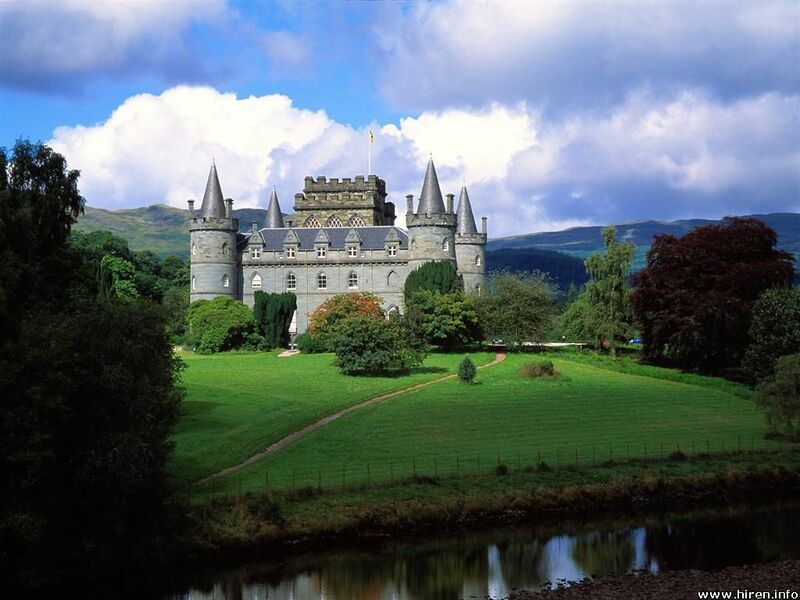 I expect castles, kilts, beer, bagpipe music and just general medieval awesomeness every minute of the day. 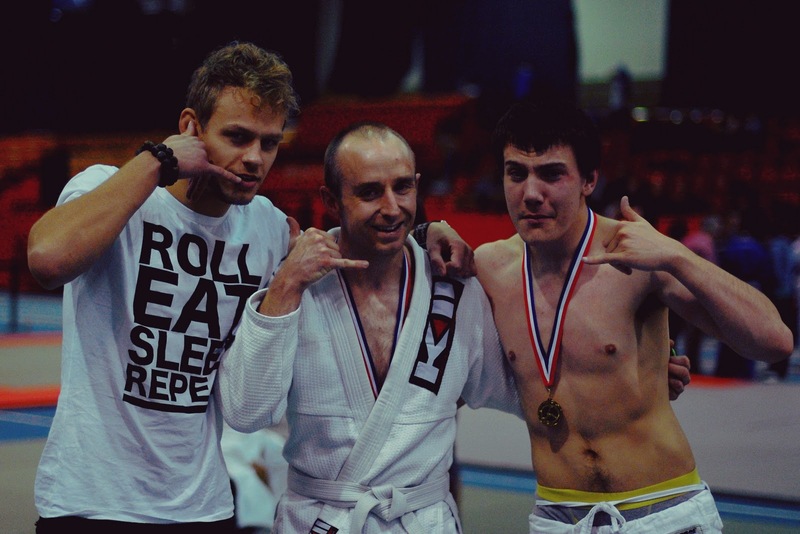 Last weekend, it was time for the first IBJJF London Open in England. It is a short flight from Denmark and we went a team of about 11 guys. Two had to cancel last minute, but it was still a good team. Sometimes, the little things just doesn't go your way, and we had a handful of frustrating losses this time. Few important matches were lost on advantages and one of our guys were way ahead on points, but got disqualified for having a small scratch on his nose that was bleeding. Anyways, we ended with two gold, one silver and a bronze, and I was very pleased with the performance of everyone. My own division had four guys and looked tough. I knew the guy I was facing from Swiss Open, where he did really well against the guy I lost to. As usual, I didn't feel nervous at all before the match. 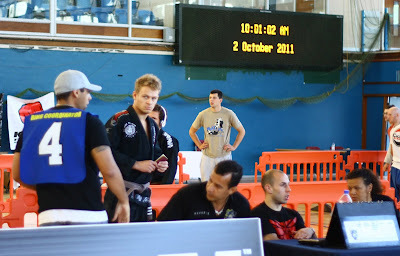 This time, I had time to warm up well, compared to last tournament. The match was pretty straight forward. We had a strikingly similar game, using basically the same postures and techniques in guard. He had a very strong grip, that I managed to break in the beginning of the match, but later on it was getting more and more difficult. Once again, I got swept with the x-guard, so it is obviously a big hole in my game. I could really use some more power to open up my opponent, when he has a strong posture and doesn't make many mistakes. In the very end of the match, I finally managed to lift him up for the x-guard, but the time ran out and I didn't get a chance to try and finish. It was really nice weather that weekend and the sports hall was really warm, which I think affected my cardio a little bit. When the match was over, I was boiling hot and sweating like a pig. I was pretty pleased with the match and think there were some good elements as well as some stuff I need more work on. Losing doesn't bother me, it is all just steps on the way and a part of progressing. 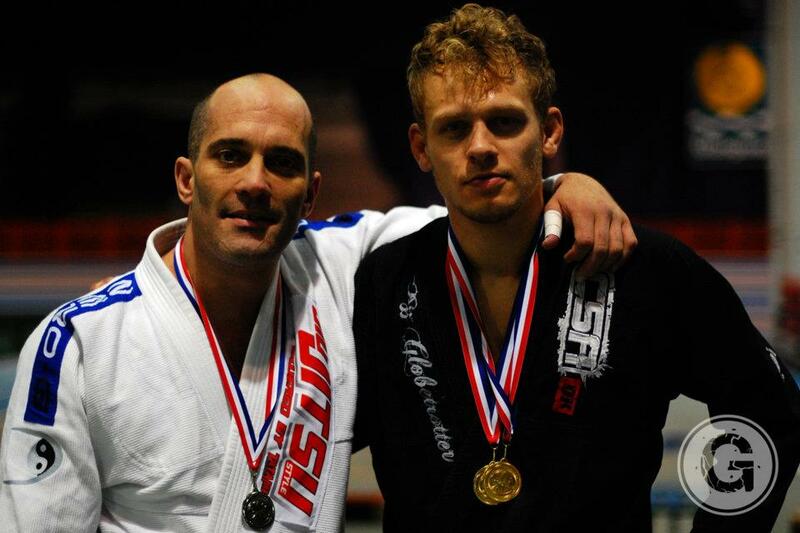 I'll be back on the mat in two weeks for the Glasgow Open in Scotland on October 15th.